Did you know that about 44 million Americans or about 55% of the US population over 50 suffer from osteoporosis? Did you know that approximately 1 in 3 women and up to 1 in 5 men age 50 and older will break a bone due to osteoporosis? Osteoporosis literally means ‘poruos bone’. When a healthy bone is viewed under a microscope, it looks like a honeycomb. In a bone with osteoporosis, the holes and spaces in the honeycomb shape are much larger making the bone weaker and more likely to break due to the loss of density. For those suffering with osteoporosis, bone fractures are a major concern. About 2 million fractures occur each year because of osteoporosis. The most common fractures for people with osteoporosis are wrist, spine, and hip fractures. Your primary care provider can order a painless DEXA scan to measure the density of your bones to determine if you have osteoporosis and also determine the probability of you developing osteoporosis in the future. If you are diagnosed with osteoporosis, the good news is that many treatment options are available. These options include dietary supplements, pill form medications taken daily, weekly or monthly, twice per year injections, or yearly IV infusions. Unfortunately many people find taking the daily or monthly medication challenging. In addition to the burden of remembering to take the pill the limitation of not being able to eat or lie down for a significant amount of time and it is no wonder more and more patients are choosing a once or twice per year treatment option. These treatments can often take place in a hospital setting like the recently added Outpatient Infusion Center at Lincoln Medical Center in Fayetteville, Tn. In an outpatient infusion suite, a dedicated nurse administers the medication either via an injection or through an IV while the patient relaxes in a comfortable leather recliner. Two of the most common forms of osteoporosis treatments ordered through the Infusion Center are Prolia and Reclast. Prolia is a monoclonal antibody used to treat osteoporosis in postmenopausal women who have a high risk of bone fracture. It is also used to increase bone mass in women and men who have a high risk of bone fracture caused by receiving treatments for certain types of cancer. Prolia is administered as a subcutaneous injection (applied under the skin) every 6 months in your stomach, upper thigh, or upper arm. Reclast is administered once a year through an IV infusion which takes 30 minutes. This medication is in a group of medicines called bisphosphonates which stops the release of calcium from the bones. It is used to treat and prevent osteoporosis in postmenopausal women or people who take certain steroid medicines. 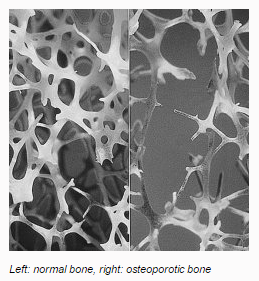 Reclast can also be used to increase bone mass in men and women with osteoporosis. Whichever treatment option you choose, the most important factor is finding a treatment option that fits your lifestyle and your needs.